a benefit concert featuring Gustav Mahler's monumental Third Symphony, will be held 8pm, Monday January 12, 2009 in Isaac Stern Auditorium/ Perelman Family Stage at Carnegie Hall in New York City. The concert will raise funds and public awareness for global pediatric AIDS and the prevention-of-mother-to-child transmission (PMTCT) of HIV. What we envisage is a historic musical event that will serve as a memorial for the millions of mothers and children who have lost their lives, a tribute to the resilience of the survivors, and an urgent call for help to the global community. "Mahler's magisterial Third Symphony speaks with a sternness and immediacy to the global community to act responsibly today. Tomorrow will be too late for too many." mahler for the children of AIDS will bring together many of the worldÕs finest orchestral musicians. Principal artists will gather from the New York Philharmonic, MET Orchestra, The Philadelphia Orchestra, Minnesota Orchestra, Orchestra of St. LukeÕs, Brooklyn Philharmonic, New Jersey Symphony, European Union Youth Orchestra, the Emerson Quartet, and other major international orchestras and other ensembles; students, graduates and faculty of The Juilliard School, the Manhattan School of Music, and other major international music schools; and a chorus of women and children assembled from the major choirs on the East Coast; performing the Third Symphony of Gustav Mahler. Distinguished American Mezzo-Soprano Susanne Mentzer will be the alto soloist. Glenn Dicterow, legendary concertmaster of the New York Philharmonic will serve as concertmaster and violin soloist along with Trombonist Joseph Alessi and Posthorn soloist, Matthew Muckey. George Mathew, Artistic Director of mahler for the children of AIDS, will conduct. 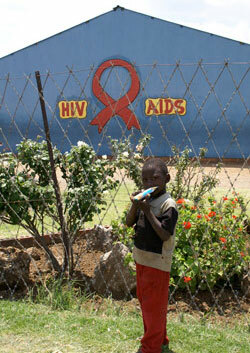 The concert will operate under the fiscal sponsorship of CMMB (Catholic Medical Mission Board) a registered 501(c)(3) charitable organization and global leader in international healthcare, with expertise in bringing medical support and advocacy to mothers, children, and communities affected by pediatric AIDS and mother-to-child transmission of HIV worldwide.